A Heavy Duty Plastic Waste bin designed for use with the mobile janitorial trolley. 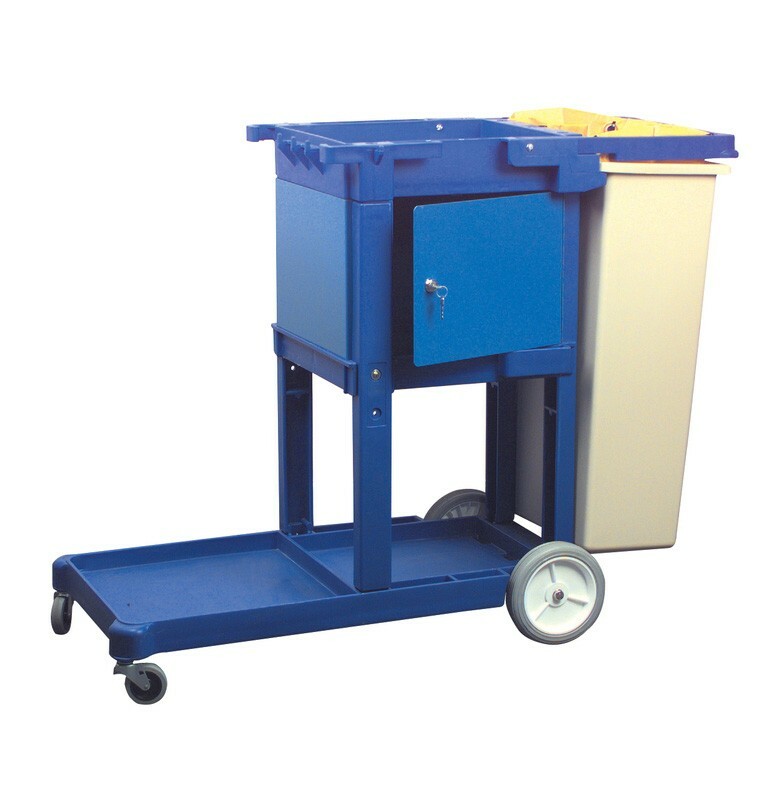 The beige, injection moulded, plastic bin is ideal for collecting waste, when used in conjunction with the truck. The bin is also far easier to clean than the vinyl bag should it become soiled or contaminated by fluids. Height - 77.5cm (30") Width - 48cm (19") Depth - 29cm (11"). For use with the Mobile Janitorial Trolley.